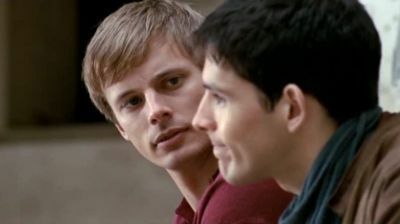 Bradley James and Colin Morgan. . Wallpaper and background images in the Colin Morgan club tagged: colin morgan colin morgan merlin bbc merlin bradley james. This Colin Morgan photo contains portrait, headshot, and closeup. back off bradley!!! he's minee! !